This study aimed to investigate an inexpensive enrichment medium for obtaining acid-resistant purple nonsulfur bacteria (PNSB) from peat swamp forests (PSF), screening PNSB for their biofertilizer and biocontrol properties, and investigating physico-chemical properties of PSF. 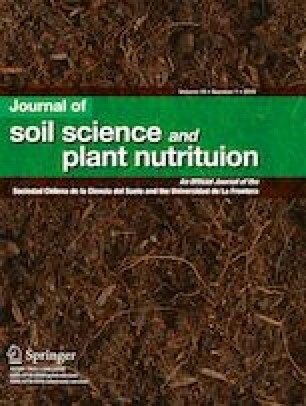 Rice straw and G5 broths were used to count PNSB in PSF of Southern Thailand, and isolated PNSB were selected based on the release of nutrients (NH4+ and PO43− from various P-sources), plant growth-promoting substances (PGPS—siderophores, exopolymeric substances, indole-3-acetic acid, and 5-aminolevulinic acid), and inhibiting rice fungal pathogens (Bipolaris oryzae NPT0508 and Curvularia lunata SPB0627). Soil and water samples from primary and secondary PSF of Kan Tulee showed significant differences only for pH in soil and SO42− in water. Almost parameters of both sample types from Kuan Kreng secondary PSF were higher than for Kan Tulee site, except pH. PNSB population was low in both enrichment media and 60 acid-resistant PNSB were isolated. All these were identified as Rhodopseudomonas palustris. R. palustris KKSSR66 was most effective in providing siderophores, NH4+, and PO43−; R. palustris strains KTSWR26, KKSSG39, and KTSWR2 in PGPS production. R. palustris KTSSR54 showed highest inhibition against both rice pathogens. They are potentially beneficial PNSB for rice cultivation in acidic soil. This research has been supported by the Center of Excellence on Biodiversity (BDC), Office of Higher Education Commission (BDC-PG1-160002), and the first author has also been supported by the Postdoctoral Fellowship from the Prince of Songkla University, PSU. We thank the Research and Development Office (RDO), PSU and Assoc. Prof. Dr. Seppo Karrila for assistance with the English.